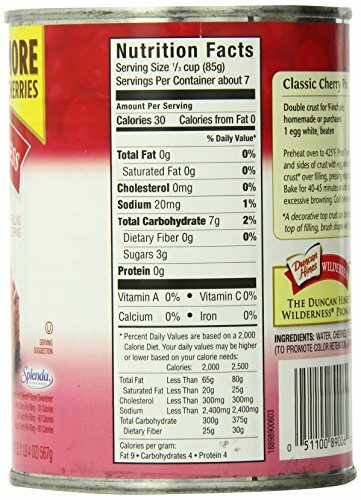 The Duncan Hines, Comstock, and Wilderness product line of fruit fillings and toppings includes more than 20 delicious flavors. No matter which flavors are your family's favorite, you can always be sure that they're made with the freshest, highest-quality fruits - harvested and preserved at their peak to bring you exceptional texture and taste. The freshest fruits picked at their peak. 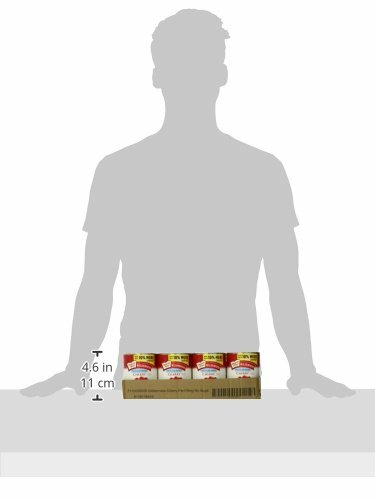 That's the quality promise we bring to you in every can of Wilderness Pie Filling or Topping. With Wilderness you get truly homemade taste and quality you can count on to make your pies, pastries, and ice cream treats delicious every time. We offer a wide variety of flavors from old traditionals to new favorites, so whether you prefer apple, peach, or blackberry you are sure to find a variety that suits your fancy. 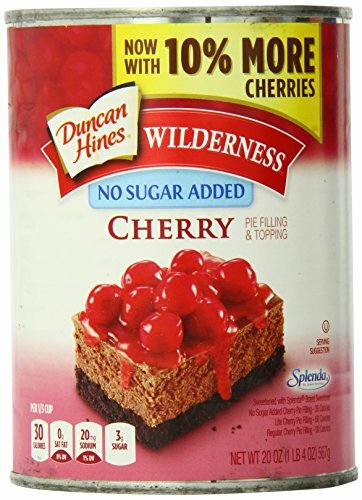 Wilderness No Sugar Added Cherry Pie Filling and Topping is made with the freshest, highest quality fruits harvested and preserved at their peak to bring you exceptional texture and taste. 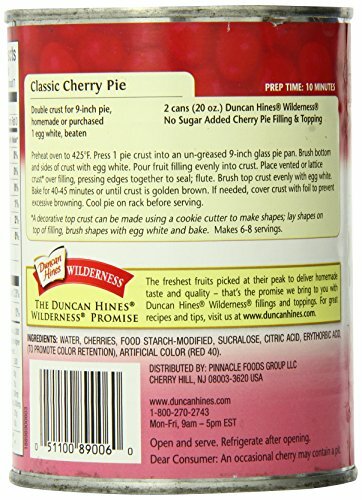 It is the perfect filling for your favorite pies or as a topping for ice cream or other deserts. Sweet, decadent, and delcious!